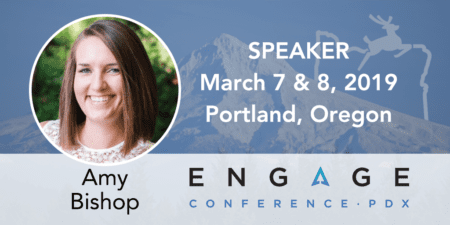 Amy Bishop will be speaking on Social PPC at Engage which will take place March 7–8 in Portland Oregon. For more information or to purchase tickets, please click here. 1.) Please give us your background and let us know what you do for a living. 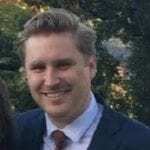 I’m a digital marketing consultant with a focus on paid search and paid social. Prior to launching Cultivative, LLC., my digital marketing agency, I spent several years working at PPC agencies of all sizes and a few years in-house (to the dark side!) as the Director of Digital Marketing & MarTech. Throughout the years, I’ve been fortunate to speak at several conferences and I contribute regularly to Search Engine Land and Search Engine Journal. 2) How would you work social remarketing into an existing AdWords effort? When a client is already running Google Ads, or another digital media effort, social remarketing is often a natural expansion of their media efforts. When I incorporate a new digital channel, I always plan the channel’s role as part of the big picture. I use audiences across all platforms to ensure that the campaigns are working in synch to keep prospects moving toward the same goal and I monitor performance data to ensure that there are incremental gains, to confirm that the addition of the new remarketing efforts is profitable. 3) How would you sell social media advertising to an existing AdWords client? Thankfully, it isn’t a tough sell anymore, and for good reason. Several clients experience the same or better returns with social advertising when compared to paid search. Don’t get me wrong, I love paid search but many verticals are saturated and that can make paid search pretty expensive. On the other hand, Facebook and Instagram CPCs are pretty cheap and cost per acquisition often is, too. While Linkedin CPCs aren’t cheap, the B2B targeting options are extensive. I typically propose that the client allocate a small budget to test social ads. We then outline exactly what the plan would look like, touching on each stage of the funnel and ensuring that all of our campaigns are working together to support the big picture. If it works well, then they reinvest in social and we plan for our expansion.